The Mansfield Rotary Club, together with The Mansfield Women of Today, would like to announce our 16th ANNUAL AUCTION! 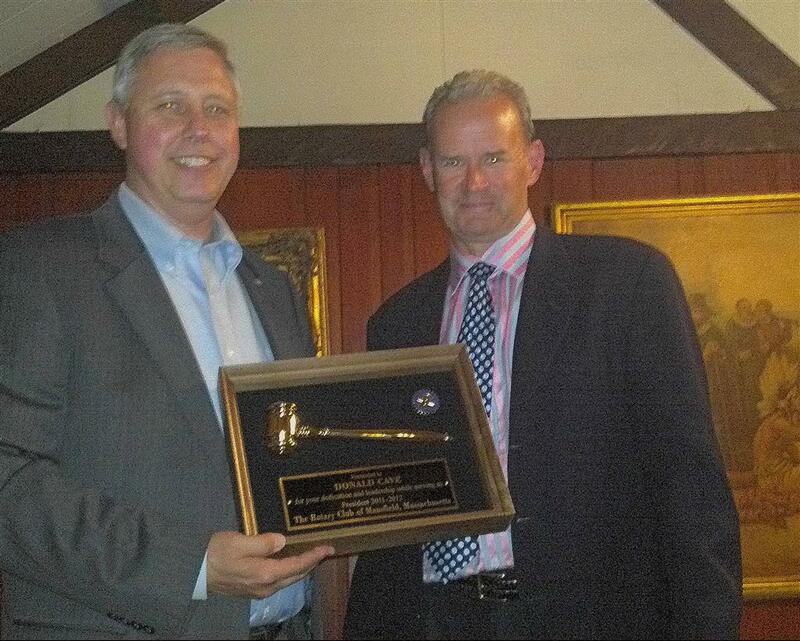 Over the last 16 years our auction has raised over $345,000.00 for local charities. We are combining our "Service above Self" motto into a fundraiser that will assist Mansfield and the surrounding community. The Vintage Motorcycle Show & Aircraft Fly-in. Location : Mansfield Airport 265 Fruit St. Suggesting donations for Rotary Club of Mansfield. Free Parking for motorcycle trailers! Food and beverages (non alcoholic) will be available for purchase on site. Our 14th Annual Auction date is Friday Night May 12th, 2017 at the Renaissance Hotel Patriot Place Foxboro, starting at 6PM. Tickets are $40 each, Tables of 10 are $350. There will be a silent auction followed by a live auction, and we have some awesome items to bid on! Buy a ticket for the Wine Wall and you will be a winner! The Theme is Business Casual Dress. The Door Prize is a 50" Toshiba Flat Screen TV. and many more awesome items/events to bid on. Our 14th Annual Auction date is Friday Night May 12th 2017 at the Renaissance Hotel Patriot Place Foxboro, starting at 6:00 PM. There will be a silent auction followed by a live auction and we have some awesome items to bid on! Please save the date to enjoy a great night out with good food and friends. 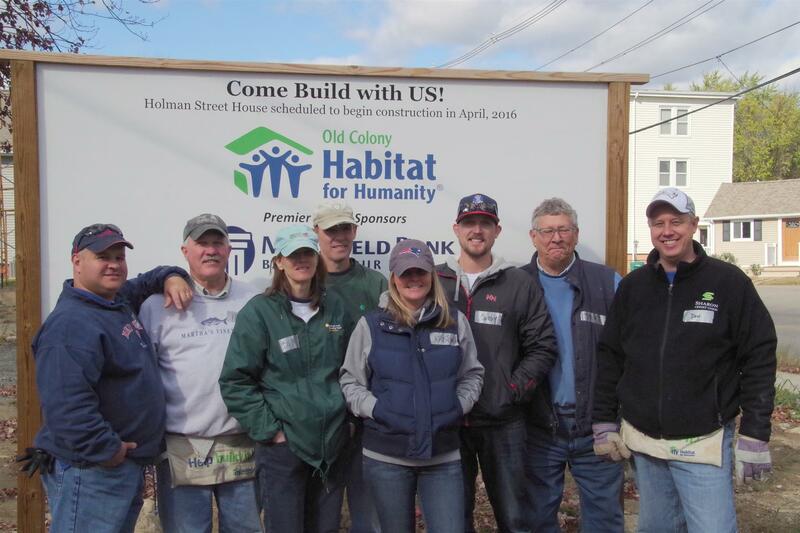 The Mansfield Rotary Club took a day to help build a house with Habitat For Humanity. See our Photo Album of the day for more pictures. We are so happy that we could help build a house for a family in need. We had a great day at the 5k this year. The weather was fantastic. Thank you to all that helped and participated. The race results and pictures should be up by the middle of this week. The Mansfield Rotary Club is having its 3rd Annual 5k Walk/Run at the Holiday Inn Mansfield. This year we are more health conscious so if You would like to bring the whole family to walk and exercise with us you can, just one of your family members need to register. Registration mail-visit www.mansfieldrotaryclub.org and look for the 5k Run tab on the top left of page. Tell a friend, and bring your family for a fun morning out. Tonight is the big night for our 12th Annual Auction! Beyond the Dinner Table- table for 12 at Gracie's - a team building opportunity. * Come and enjoy some entertainment, live auction, silent auction, great food, drinks & fun! 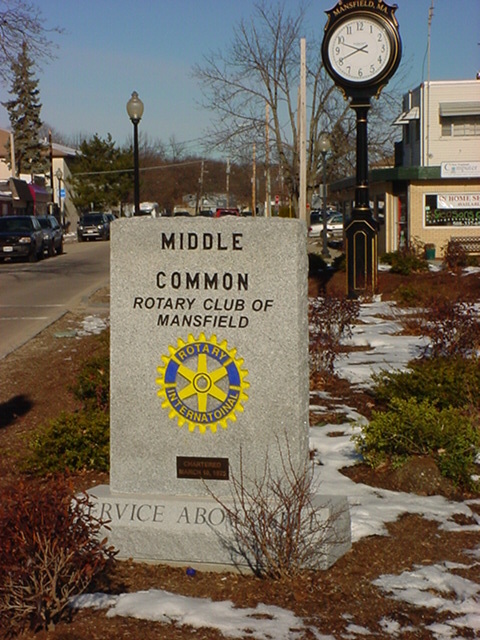 The Mansfield Rotary Club was formed in December 1924, in the early days of Rotary, making us one of the oldest service clubs in the area. The founding members included a reverend, a lumber store owner, the postmaster, a funeral home owner, a dentist, a doctor, the town manager, the school local iron foundry. The club held its first official meeting on Tuesday, December 16, 1924 at 12:15 at the Mansfield Tavern, the location they would call home until 1942. The club was officially chartered by the parent organization on March 10, 1925. Just as in those early years, our members still include the local dentist, the town manager, a funeral home director, and representatives from the field of hospitality, retail, insurance, and banking. Now many new types of businesses are being represented in our club. The club still meets every Tuesday at 12:15 for lunch at the Mansfield Holiday Inn. Thank you to all that Helped and Participated. Scoring for the race can be found at www.active.com. Pictures of the event can be found at www.PhotosbySheryl.com. Thank you Sheryl for donating your time and talents to help us help our community. Through the generosity of Medline, the Rotary Club of Mansfield was able to donate a new wheel chair to an area resident in need. We would like to thank Medline for their donation - and look forward to being able to asist others in Mansfield and the surrounding communities. 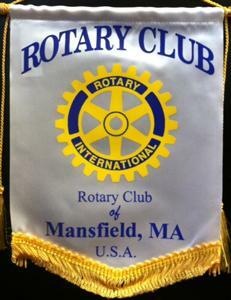 For additional information regarding the Rotary Club of Mansfield, Please contact us at www.Mansfieldrotaryclub.org. We are always looking for new members to assist us with our fuindraising and area donations. Also like us on Face Book to receive periodic updates on our activities. This was the first year that our Toys For Tots Float had electricity...Thank You Dr. Bob. I would like to thank the committee for their hard work and dedication in the cold and rain yestarday...Sandy, Dr. Bob, Colby & Bill Richard. By the end of the parade we were soaked, but it was a lot of fun! I would like to ask all those that are reading this news bulliten to help in the Toys For Tots collection by donating a new unwrapped gift, and to spread the word to your friends and family. This year we have 1 week less to collect to help those children that wouldn't other wise have gifts for the Holidays. In Mansfield we have collection boxes at Stop & Shop, Citizens Bank, Mansfield Bank, Mansfield Jeep Chrysler, Mansfield Holiday Inn, North Easton Savings Bank, Sharon Credit Union, Smiles For All Sizes Pediatric Dental Center, Tedeschi, and many other locations. Please help us help those in need, donate a gift today. Please click on link below for race results. Please click below for event Pictures. 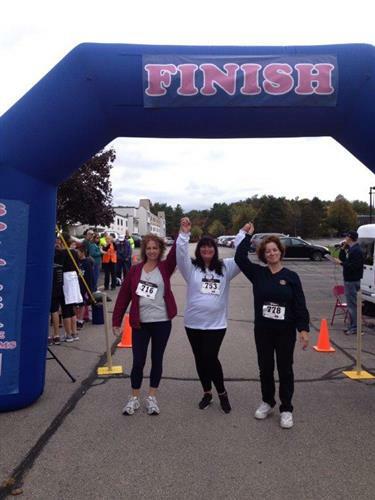 Our 1st 5k Road Race Run/Walk will be held at the Holiday Inn Mansfield on Sunday, October 13, 2013, from 8 AM until Noon. We are asking for your help and participation. 8 to 9 AM Registration 10 AM Race Commences, 11 AM Road Race Awards & Raffles Awarded. Registration information can be found on our home page, just look to the top right of this email for the Home link. Sponsorship or Donations: Please contact Donald Cave at 781-793-2832 or Dcave@Sharoncu.com. Jeff Garr was presented the Paul Harris Award in June. This is the second time he has been presented this honor, the last was in 2007. Jeff has been a vital part of our club. He has been a Rotarian since 1999, and was our Club President for the 2003/2004 Season. He spends a lot of his time and energy organizing and running our annual Auction Event. Jeff is also our Fine Master raising money for club events and having fun doing it. What it means to be awarded a Paul Harris: This is the highest award that we can bestow on any individual. It is given to those who perform "above and beyond the call of duty" in furthering Rotary ideals. If you are looking for a way to give back to the community, then please ask Jeff or any of our Director listed on our Home Page. Colby Barrows takes on Presidents roll for 2013-2014 Year. Colby Barrows takes on roll as the Mansfield Rotary Club's President for the calendar year 2013-2014. With the club totaling 18 people he will have much help with the upcoming programs. Colby will be overseeing the following programs and events for the club: 5k Road Race, Toys For Tots/Goods For Troops, and our Annual Auction, among many other club activities. Joseph "Joe" Clancy, Governor of District 7950 of Rotary International, visits our club meeting to present to us a 90 year Congratulations Plaque from Rotary International. What a great suprise! Randy Miller, Club President, accepts the plaque for the club. Those pictured above from left to right are: Donald Cave, William Ross, Cherie Allen, William Richard, Rany Miller, Joe Clancy, Jeff Garr, Marianne MacKie, Colby Barrows, Sandra Levine, Paul Connor, Bob Peixoto. Our 10th Annual Auction will be held on Friday Night April 26th, 2013. This year's theme will be "Rock n' Roll" so dress as you like. Funds from this year’s event will assist the Hockomock YMCA Reach Out for Youth Program, The Kennedy Donovan Center and the Children’s Advocacy Center, and provide scholarships to students in the Mansfield, Norton and Southeast Regional Schools. Funds will also support the Rotary International "Polio Plus Program", to help eradicate Polio throughout the world. Tickets: $50 for individual seats and $250 for tables of 8 and $300 for table of 10. Call Jeff Garr for more information 617-212-9093 or email Jeff@hrknowledge.com. Location: Mansfield Holiday Inn at Hampshire St., Mansfield. The picture above shows Deb Crowell being presented the Paul Harris Award by Randy Miller Mansfield Rotary President 2013. Deb has been a vital part of the running of our club. She has been a Rotarian since 1999, the club Treasurer on and off for several years, has helped the club President at the drop of a hat, and has helped with all the club events. Thank You Deb for all your years of service! If you are looking for a way to give back to the community, then please ask Debbie or any other Director listed on our Home Page. The 20th annual Rotary Club of Mansfield Toys for Tots Campaign had a great year considering the continued state of the economy. We had another great year, over 3300 toys collected. We had all Rotarians on deck to help with the pickup and delivery of over 3300 toys to the Toys for Tots and the Westside Benevolent Circle of Mansfield. Businesses continue to have different ways to help collect toys. The Qualters Middle School and Jordan Jackson Schools collected nearly 200 toys. Sharon Credit Union collected the most toys of any of the over 77 businesses that participated. They collected just under 400 toys! Another great partner in our toys drive is Covidien. They built and donated over 100 bicycles during the summer on their annual volunteer day. We also want to give a big thanks to all our local businesses that participated in our Goods for Troops drive. We collected over 200 care packages that go directly to our soldiers on the front lines in Afghanistan. These items are so helpful to our troops that have to spend the holidays away from their families, in the toughest conditions. We owe a lot to our local banks, North Easton Savings Bank, Mansfield Bank, and Sharon Credit Union. They collect toys and stuffed their monthly statements with Toys for Tots flyers. This year, they collectively sent out 55,000 flyers! Mansfield Bank also had about a dozen volunteers join us at Mansfield Jeep Chrysler to sort and count toys. North Easton Savings Bank also donated $1000 dollars. The Chrysler Union, UAW Local 422 donated toys and over $900. Other local businesses donated money as well. In total we collected $2400. The money was used to purchase gift cards for teenagers at various Mansfield businesses. We want to express our sincere gratitude to all those anonymous citizens who drop off toys at all of our collection boxes. One of our Rotarians witnessed a 5 year old girl putting a toy in one of our boxes at the police station. Also at the annual Christmas Parade this year a good citizen handed us a check for $100 while our float was rolling down Main Street. It is kindness like this that makes our toy drive so special. Westside Benevolent is now very busy sorting the toys and stuffing them into bags for delivery to families in need this weekend. We wish them success. We had a great time once again helping raise awareness to the children and hope that we made quite a few kids Christmas more enjoyable. If you have a business and want to be involved next year, Please contact Paul Connor at Mansfield Jeep Chrysler at 508-339-3400. Pictured above is Randy Miller, President Mansfield Rotary Club, presenting Dan Conrad from Mansfield Bank, Food Pantry Volunteer & Steering Committee Member, a donation of $500 to the Mansfield Food Pantry. From left to right: Sandra Levine, Mary Andrews, Lou Andrews, and District Governor Joe Clancy. This year at the District 7950 Community Volunteer Awards Night, the Mansfield Rotary Club Honored Mary & Lou Andrews for their vision and work in creating a new animal shelter in Mansfield. The Andrews were accompanied by Sandra Levine our Membership Chair. Sandra gave a wonderful heart felt speach about the Andrews and their work for our community. Sandra said the event was absolutely wonderful and the organization was superb. ....Yesterday 8/16/12 we had no bids so our high bid is still at $35.00... Just a reminder that the bidding ends tonight at midnight. 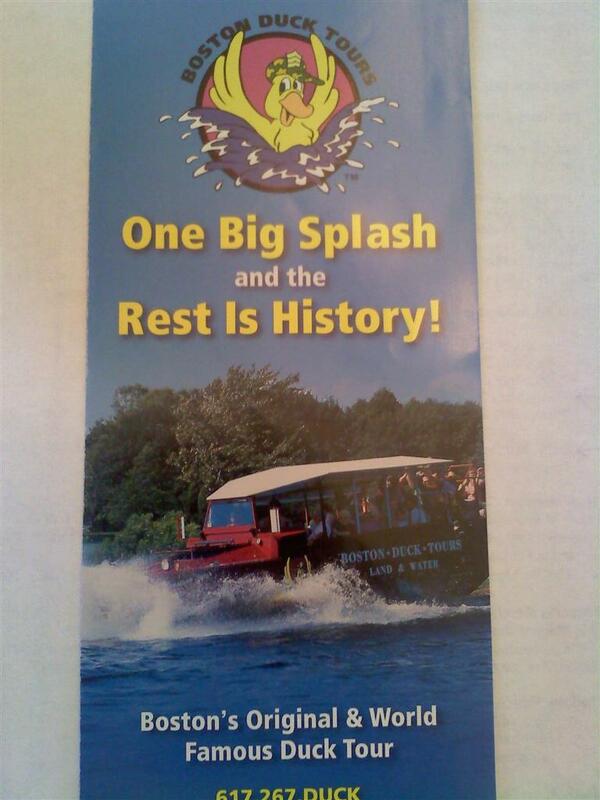 These Boston Duck Tour Tickes came too late for our annual auction so we would like to give you all the option on bidding for these tickets. 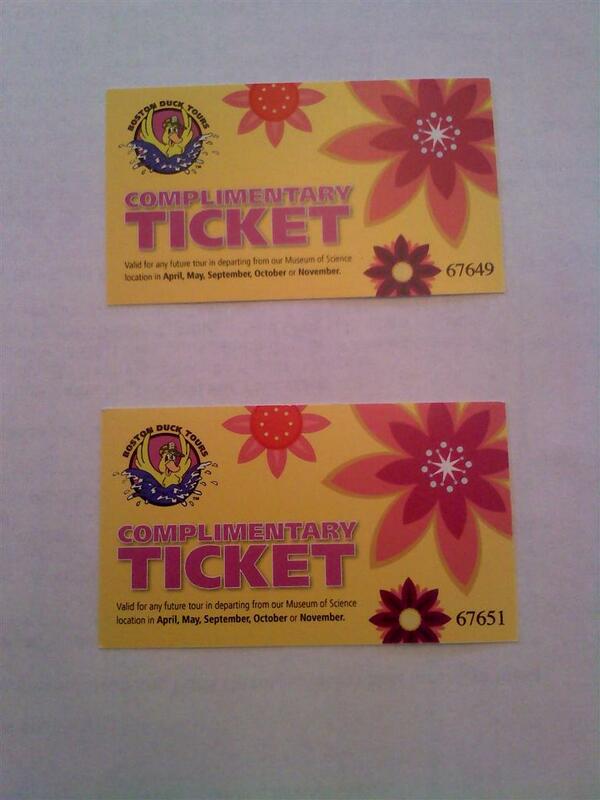 The pair have a value of $65.90, so we are starting the bidding at $30.00. The tickets are only valid weekdays in September, October and November 2012. When you bid please send it to my email Dcave98@comcast.net. I will update everybody in this fashion each day with the highest bid. We will close out the bidding Friday night 8/17/12 at 11:59PM. Ann Buono,VP Development and Public Relations, and Richard Harwood, Director and Chair of Board Development, from Kennedy-Donovan Center accepts a $3,000 donation from Randy Miller, President Mansfield Rotary Club. Their Mission Statement reads: Kennedy-Donovan Center supports individuals and families with developmental disabilities and similar needs to reach their maximum potential and quality of life through advocacy and individualized services. Mansfield Park and Rec Dept. Lorilee Fish (right) from the Mansfield Park and Rec Dept. 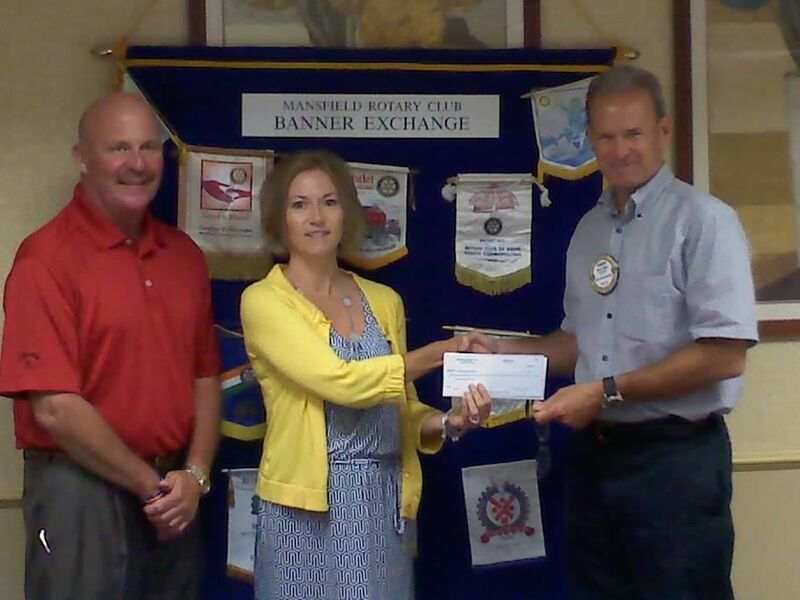 accepts $3,000 donation from Mansfield Rotarty Club President Randy Miller. Rotarians are former Park & Rec Campers. It's that time of year again when the change of leadership happens. Randy Miller's Presidency will run from July 1, 2012 to June 30, 2013. The picture above shows Outgoing Club President Donald Cave (left), from Sharon Credit Union, being presented a "Thank You for a Job Well Done" gift from Incoming Club President Randy Miller (right), from Miller Recycling. 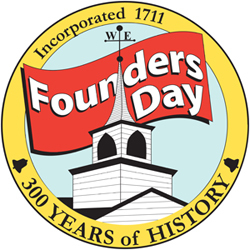 Come help Norton celebrate 300 years of history by attending the Norton Founders Day Annual Picnic & Fireworks. This Saturday 6/23/12 from 5 to 9PM. Fireworks at 9PM. Come by the Mansfield Rotary Club Table and get your cotton candy... this will help you stay awake for the fireworks. 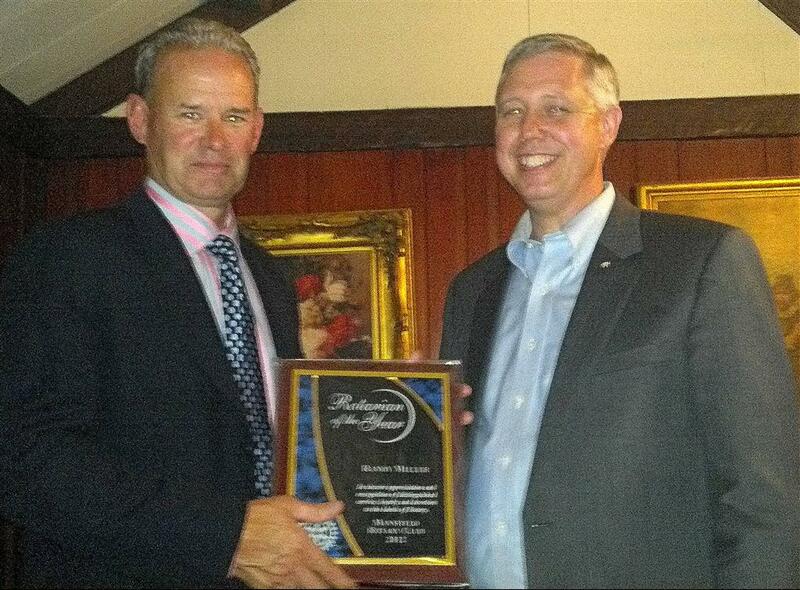 Randy Miller (left) is being presented the Rotarian of the Year Award by Donald Cave (right) Club President. Randy has been instrumental in the running of the club, events and fund raising. Whatever was needed Randy was there to advise, assist and or take ownership of. Congratulations Randy! ShelterBox will be teaming up with Mansfield Rotary Club at the Mansfield Family Fun Night on 7/10/12. With an average of 5,ooo people checking out the event, this will be a great time for ShelterBox to introduce what it does world wide, to the Mansfied and surrounding town residence. 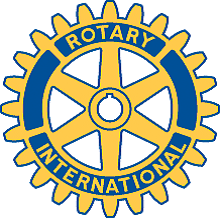 We,The Mansfield Rotary Club, will also be there to answer questions about what we do in the surrounding communities. Marianne joined our club in May 2012. She works at Mansfield Bank as a Mortgage Originator, and donates her time helping Our Daily Bread, Relay For Life, American Diabetes, Tri-town Chamber of Commerce. The picture above shows Donald Cave, (left) Club President, and Bill Lippincott (right) Marianne's sponsor. Randy Miller is presented with the The Paul Harris Award. This is the highest award that we can bestow on any individual. It is given to those who perform "above and beyond the call of duty" in furthering Rotary ideals. The picture above shows Randy Miller (center) receiving the Paul Harris Award. 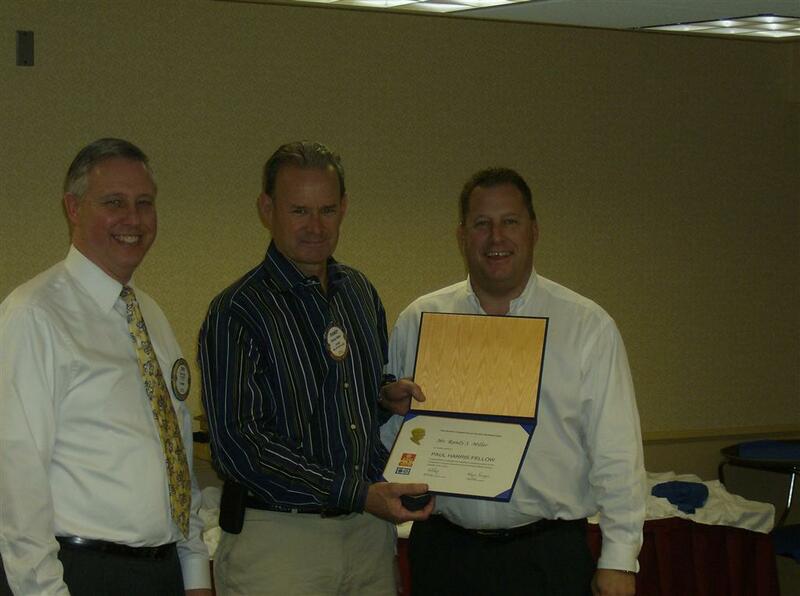 Presenting the award is Donald Cave (left) Club President, and Jeff Garr (right) a Paul Harris Fellow. Bill joined our club in March of 2012. He has been active in retaining items for our Annual Auction, Bringing in new members and updating us in the happenings of Norton. Bill is a Financial Advisor for Merrill Lynch in Providence and resides in Norton. He is active in the Tri-Town Chamber of Commerce and the Norton Founders Day Committee. 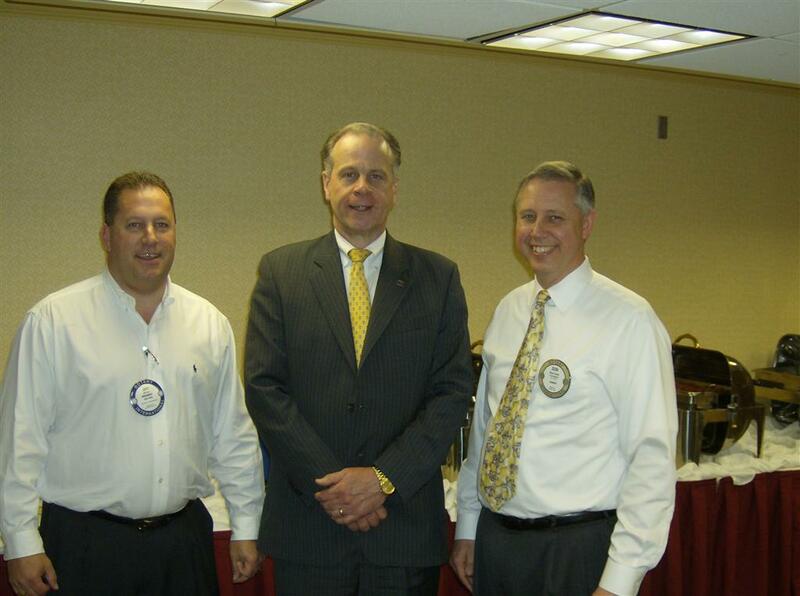 The picture above shows Jeff Garr( Bills sponsor), Bill Lippincott, and Donald Cave Club President.